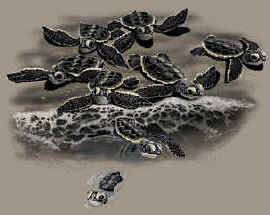 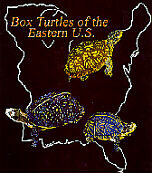 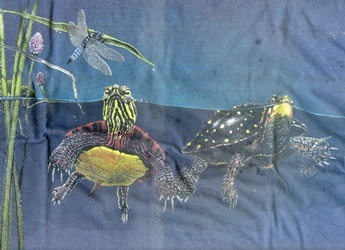 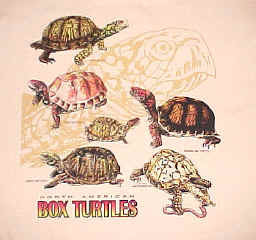 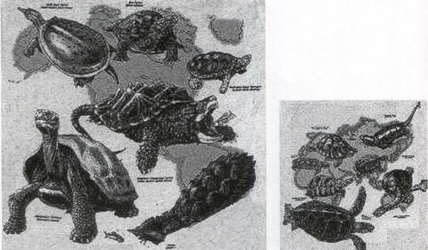 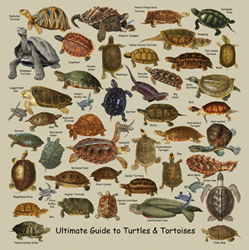 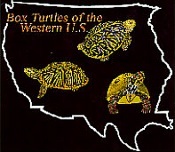 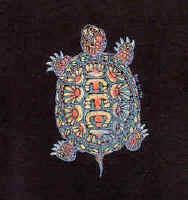 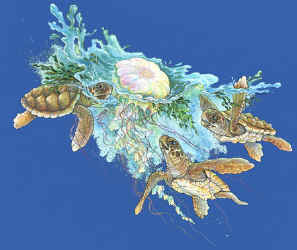 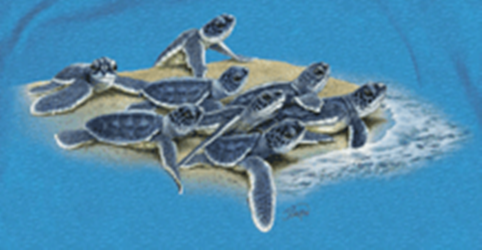 Species pictured on the Turtles of North America t-shirts - clockwise from center of collar Softshell Turtle, Biamondback Terrapin, Painted Turtle, Map Turtle, Eastern Box Turtle, Spotted Turtle. 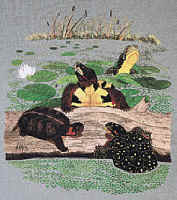 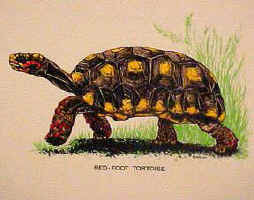 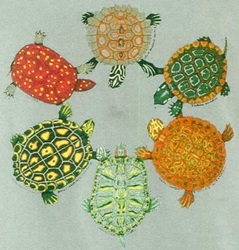 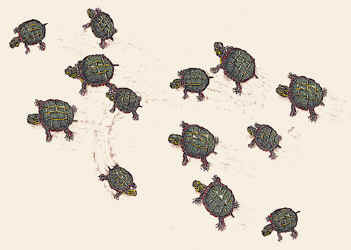 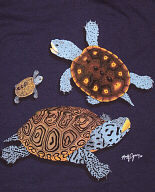 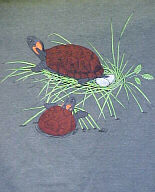 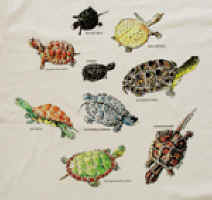 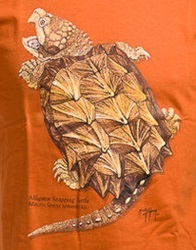 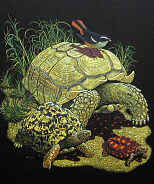 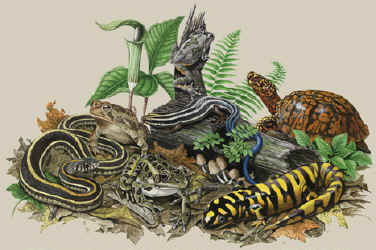 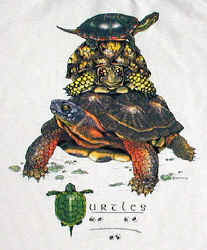 Species pictured on the Turtle Circle t-shirt - clockwise from center of collar - Black-knobbed Sawback Turtle, Eastern Painted Turtle, River Cooter Turtle, Red-eared Slider Turtle, Yellow-blotched Sawback Turtle, Spotted Turtle. 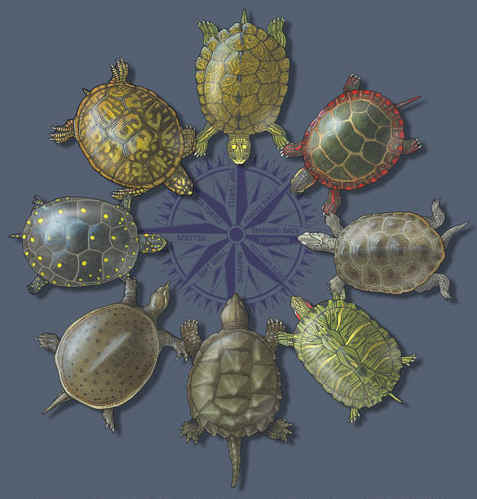 Species pictured on the Turtle Compass t-shirt - clockwise from center of collar - Map Turtle, Painted Turtle, Diamond Back Terrapin, Red Eared Slider, Snapping Turtle, Soft Shell Turtle, Spotted Turtle, Box Turtle. 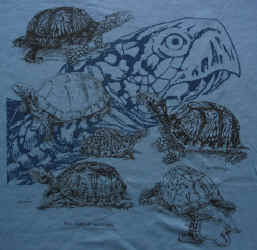 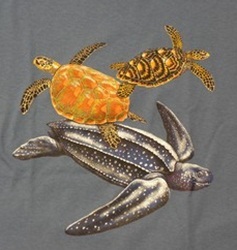 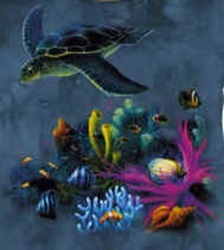 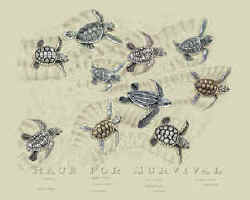 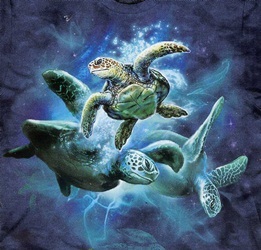 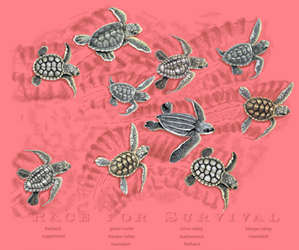 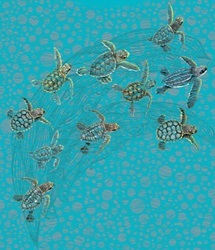 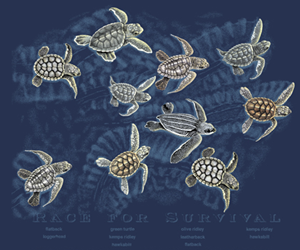 front design tee 6.5" x 9.7"
Species pictured on the Sea Turtles of the World T-shirt - clockwise from center of collar - Hawksbill Sea Turtle, Kemp's Ridley Sea Turtle, Olive Ridley Sea Turtle, Leatherback Sea Turtle, Green Sea Turtle, Loggerhead Sea Turtle. 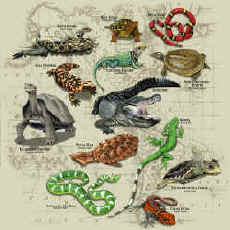 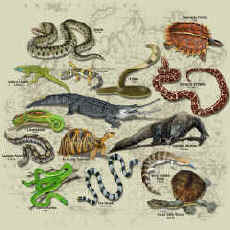 The scientific names are also given. 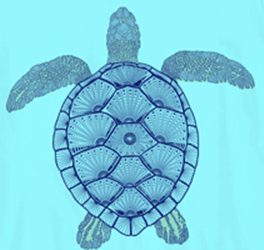 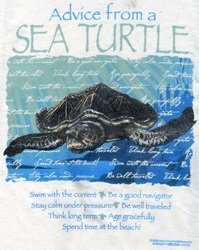 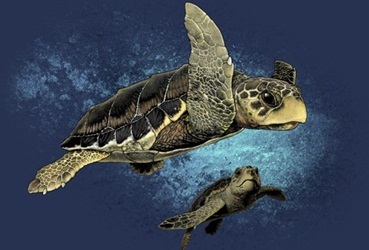 Text on the Advice from a Sea Turtle t-shirt - Swim with the current - Be a good navigator - Stay calm under pressure - Be well traveled - Think long term - Age gracefully - Spend time at the beach! 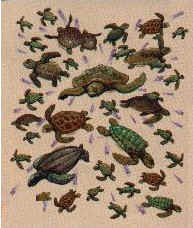 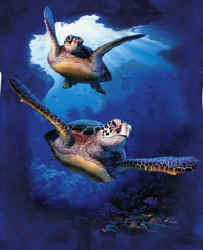 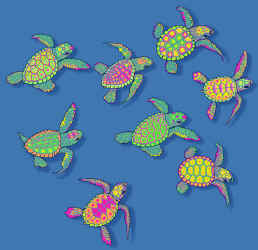 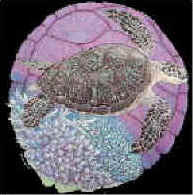 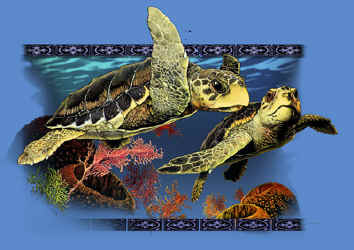 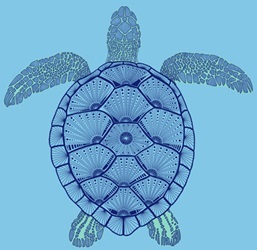 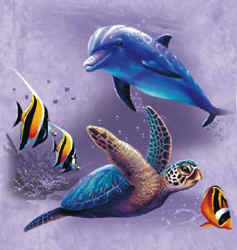 and several styles of Turtle Magnets.